Here at A2L, we are delighted to introduce John Moustakas, our new Managing Director of Litigation Consulting and General Counsel. John comes to us from the international law firm Goodwin Procter, where he was a partner in the firm’s Securities Litigation and White Collar Defense Practice. John is a highly successful trial lawyer who has tried more than 45 cases to a jury. John spent more than six years as a prosecutor in the U.S. Attorney’s Office for the District of Columbia, before returning to Shea & Gardner, where he had begun his legal career. 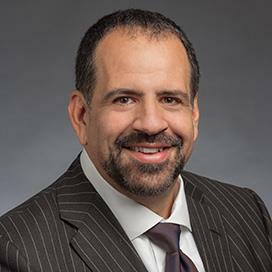 In addition to trying numerous criminal cases for the United States, John has tried a variety of civil matters in a combined 20 years in private practice at Shea & Gardner and its successor, Goodwin Procter. John laments the fact that, for many reasons, far fewer cases go to trial in the corporate world than even 20 years ago. Although he will no longer be a client’s advocate in court, he relishes the trade-off. “Instead of trying my own case every four or five years, if I’m lucky, every matter I’ll be consulting on will be one bound for trial. If I can leverage my experience to help others try their cases more persuasively, I will be one very happy guy,” he says. John says that one key to a trial lawyer’s success is to follow his or her own natural style and temperament. “The jury, as a collective, is uncannily able to sniff out BS,” he says. “Pretend to be something or someone you’re not, and they will see right through you.” Convinced that his authenticity was the greatest contributor to his success as a trial lawyer, John’s mission is to keep A2L’s clients true to their nature. John looks forward to bringing his insights and experiences to bear in this new chapter of his career in a way that makes that kind of difference. He can be reached at moustakas@A2LC.com or 703.548.1799.
Who Is, and Who Isn’t, a Litigation Consultant? Free E-Book: What is the Value of a Litigation Consultant?